Persistent Bits is a very simple, no-fuel-required Chunk Loading mod. 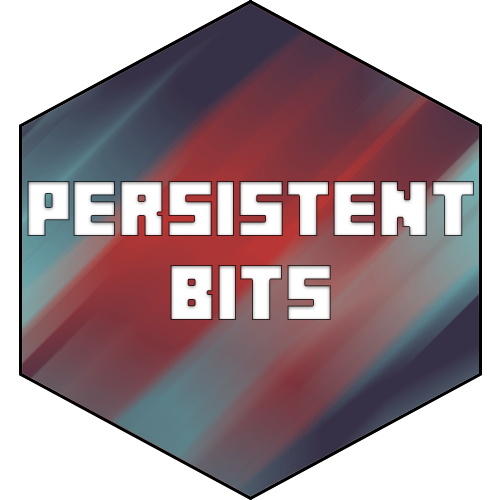 Unlike many other popular chunk loading mods, Persistent Bits has neither hacky code nor fuel requirements nor locked-in radius. The configuration file allows you to change the radius of the Chunk Loader, as well as enable or disable Chunk Loader security if you so desire. Not doing so may prevent the Chunk Loaders from not completely not-functioning. You can enable or disable Chunk Loader security if you do not trust other players on your server. Security works very simply - the placer of the Chunk Loader is the owner, and that person is the only one that can break it. In an effort to keep Persistent Bits as Vanilla-esque and lightweight as possible, you can right-click on a Chunk Loader to display which chunks are actively being loaded. Using F3 + G to show the chunk boundaries is very useful in combination with this feature, as the client-side indicators are placed at the center of the chunk that's being loaded! Chunk Loaders (at least all of those which have been placed after version 1.0.0) automatically load themselves on world load. This means that you don't have to go to a Chunk Loader for it to work! Important information about Chunk Loaders is stored in PersitentBits.dat, located inside of each world folder. Don't delete this file or else you'll have to re-place your Chunk Loaders all over again! This file gets updated each time someone places or removes a Chunk Loader, so don't worry about world corruption from unexpected crashes / world shut-downs.